« Day 188 in Beijing: Have an Affair. 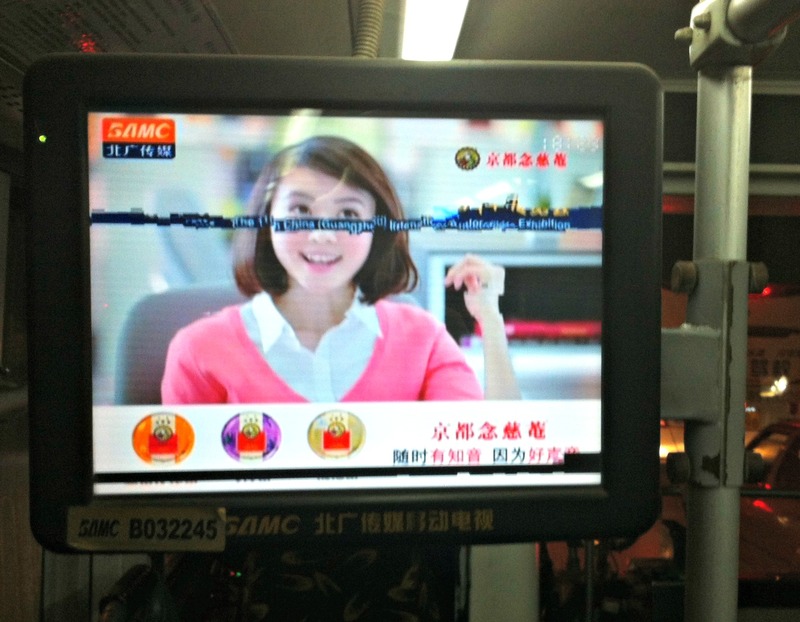 Day 189 in Beijing: Busvertising. So, in Day 187 in Beijing, I wrote about Cabvertising. Some of the advertising on my bus today. Today, I’m writing about Busvertising. Busvertising, like Cabvertising, is now a trademarked entity used only with the express permission of this blog and the author of said blog. Busvertising is similar to the Cabvertising in that they have video screens through out the buses in Beijing. 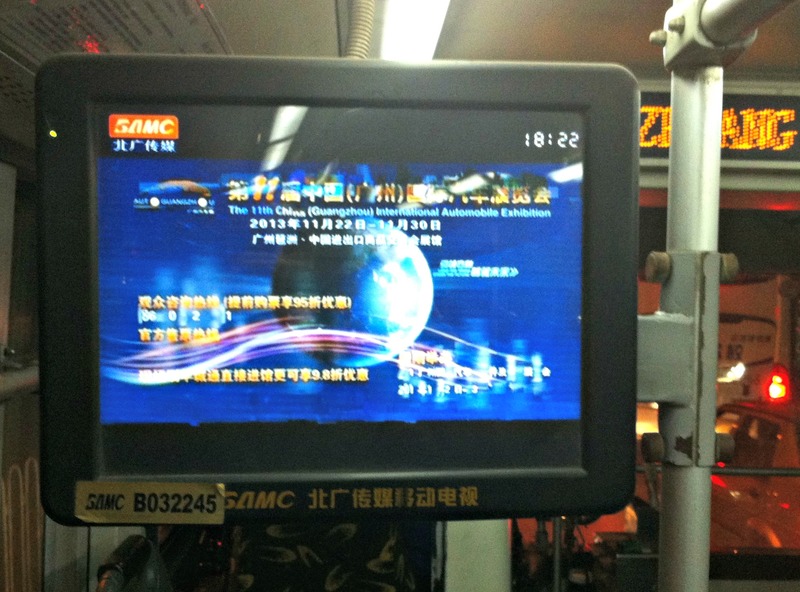 There are probably 2-3 different videos screens, located about 1/3 of the way through each bus, and they are about 12 inches by 8 inches in size. 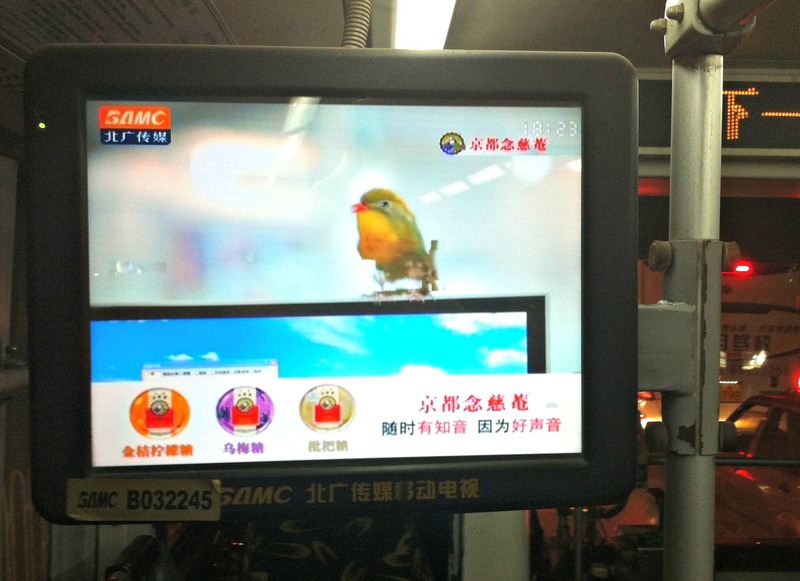 The speaker system of the bus is set up to tell the rider which stop is next, and yet, they often have the speakers running, very loudly, with the sound from the advertisements that the video screens are playing. In other words, there is constant noise, ads, and very little quiet time on the bus. The video screen was malfunctioning. Especially when one considers that many people talk on their phones and that adds to the noise level. In lieu of an automatic speaker system letting passengers know what the next stop is, some buses actually have people that ride the bus, all day long, and yell out the stop so passengars can know. Their job also entails letting the driver know if everyone has gotten on the bus and if there are people waiting to get off at the next stop. This is quite useful as some of the buses become so full that it is almost impossible to see if people are getting in or out and they could easily have the doors shut on them or the driver could run them over by accident. It also keeps employment high as there is a job for everyone. That being said, I would think this would be an incredibly boring and mundane job after a day or two. You see the same stops, say the same thing, and just ride a bus to nowhere. Maybe it is a very relaxing and calming job because one is able to be settled, know exactly what is happening, and just be in the moment.